A brief discussion of historical films: at some point I'll read up on the history, and I might change my mind about Jodhaa Akbar once I know what the real story is. Generally I don't appreciate people mucking about with true stories, which are very often are fascinating and instructive all on their own and don't need to be tweaked in order to make a compelling film - why not tell the story as it really happened? There are arguments to be made for taking real people or events and then doing something creative with them for other reasons, such as telling a story that has resonance with current audiences that the true story is too complex or rambling to tell efficiently, and in this case I don't have enough knowledge of the real story judge whether artistic license had any particular benefit. And for now, I'm happy to bask in the golden loveliness and not think too hard. I'll think later, but not just yet. It is soooo pretty. Most overwhelmingly beautiful were the costumes and the locations...mindboggling lovely. The elephants! The fabrics! The weapons! And the ideas are beautiful too - religious tolerance! inclusivity! trust! And after all the sword-clashing and intrigue and punishments, justice and a true love of Hindustan prevail! Huzzah! My favorite scenes: "Azeem-O-Shaan Shahenshah" (the only song I liked on its own before I saw the movie and also like most in context), with its cast of thousands "We Will Rock You"-ish stomp-stomp patriotism (and those huge drums! awesome! ); Jalaluddin dancing with the Sufis; Jodhaa showing off her calligraphy and Jalaluddin's corresponding confession (which I hadn't seen coming at all); and their sword fight at Jodhaa's home. I don't know squat about sword fighting but I thought it rocked and I was delighted to see Aish swingin' her sword. * I have one little criticism: I got annoyed by a jarring musical theme that popped up whenever Hrithik was about to do something dramatic. To get technical, it was a major seventh (hear one here), played on a battle horn-sounding brass. It would have worked fine if it had been used judiciously. Oh, and I was all set to be miffed that Jalaluddin seems to notice Jodhaa when she's petting bunnies and cooking for him, but she notices him when he's sweaty and half-naked practicing with his sword. I mean, who wouldn't notice a half-naked Hrithik - but it bothered me a little that she was attractive when being domestic and docile and he was attractive being aggressive. But then I got over it as their relationship developed and became much more equitable and their attractions/affections more rich and nuanced. Sonu Sood did well, didn't he? But hey I noticed no one wore blue in the movie. The Rajputs can be excused: they tend to think of blue as an inauspicious color. But what about them Mughals? I'm going to watch it today. As for History, forget it. The Rajputs are now claiming that Jodha was not married to Akbar, but his son. Or in fact, she did not exist at all. Aspi - Sonu was great! I have never heard that about Rajputs and blue, but as someone who very much dislikes blue in her home, I can dig it. (Yes, I know blue is everyone else's favorite color. I avoid it like the plague. Never have liked it.) As for them Mughals, well, bling bling! Gorrrrrrgeous. Blue - (hee) SO heroic! SO determined! I can barely keep from swooning at the thought. Banno - do tell what you thought of it! Thank you for the update on the Rajputs. I wonder who allowed the film to be shot in all those Rajput locations, then? I just learned that the Agra Fort was mostly a set (read http://memsaabstory.wordpress.com/ for the dirt on that), so maybe some of those were too? But what about all those locations that were labeled as the kingdoms began to fall to the Mughals in the beginning? Hmmmm. Beth - this is what I'm saying! SO pretty! And for the first time I felt attracted to Hrithik. i've admired him before kind of like a museum piece but I've never felt like I wanted to jump his bones - and i felt that way this time even though I felt distinctly annoyed at his enunciation at certain places. Re: her cooking and his aggression - I wasn't that bothered by it because I expect that at least is historically accurate. What did bother me was that she went to all that trouble of learning to fight with swords and when Aadham Khan bursts into the zenana to try and kill Akbar, all she does is hide in a corner and watch. Um, hello? But still - SO pretty! I'm so excited to see this film! I had planned to see it on opening day, but when I got to my local theater they crushed me by telling me they didn't receive the whole film(they only got the first half!) and so would not be showing it until later this week when the 2nd half arrived...What a bummer! I'm glad you liked it, though...it gives me something to look forward to this Friday! 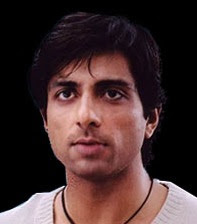 Btw, Sonu Sood does look like Amitabh! Freaky! OMG you TOO thought that that one guy looked like a young Amitabh. I just could not stop thinking that. 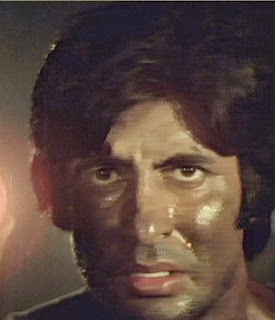 He was like a a young Amitabh, only hotter. Agree with all your fave scenes, though I would add any of those wonderful montage scenes of all the different kingdoms. I loved the variety of the costumes, and I especially loved that one grumpy king who looked a bit like my uncle. (He shows up in Azeem-o-Shah Shehenshah.) Also agree that Azeem was my fave song before seeing the film, though I just loved how they used the romance theme (forget the title; kaise yeh ishq hai?) when Jodhaa and Akbar finally decide to get jiggy with it. What pageantry! What drama! Oh yeah, and Kulbushan rocked. Loved when they were showing all the kings' responses to the Mughals and he's the one who goes, "Uhh, let me think about it." indiequill - so much of pretty! That scene where he's working out with the sword...yeah, that was a bit of alright, it was. The other day I suffered through Dhoom 2 again with two friends who love Hrithik, and it was like being at a frat house - they were totally crude (and equally funny)! I saw JA with one of them and she's not a talker in the theater but I bet she was thinking a lot of interesting thoughts. You're probably right about the cooking. And yeah, why didn't she get to fight an actual enemy? Maybe she didn't have a sword handy when Aadham was running around? Nida - grr! But at least they were up front instead of pretending they didn't realize it and making you sit through the first half with no conclusion! ppcc - it's a freaky resemblance. And good call on the kingdom montage - I was all "woah slow down and let me grab my atlas!" In a good way. aspi: blue is considered inauspicious ever since saawariya. beth: did you gasp dramatically at the clothing and jewellery? i know i did. i want one of those big beautiful rings. actually i'll have one of everything. damn it even bacchan lookalike wore pretty earrings. Pri - OMG yes I did squeal and clap and jump up and down! I want of everything in the whole movie, women's AND men's. Except the grizled old advisor - I can pull that look off on my own, I think. GENIUS remark on Sawaariya. I'm actually in a meeting and should be listening to what's going on and had to work really hard not to go BWAHAHAHA out loud at your comment. Yes, it really is a "pretty" movie. Plus the lead pair looked delectable (and I suffered thru Dhoom2); Hrithik hasn't ever looked this good. The whole Ash domesticated, Hrithik aggresive thing didn't jar me at all, because then weren't they supposed to be domesticated ? Amodini - most tastily delectable! And I just watched Dhoom 2 too - oh my STARS is that a horrible movie. And what a waste of my modern-day favorite, Abhishek. Boo hiss. I agree with that sentiment. The whole idea of Jodhaa petting little rabbits seemed so awkward. But I guess they do soothe that bit out by showing her as aggressive when she needs to be. In fact, there's no element of "shyness" to her - which is so refreshing. Neha - it did, didn't it? You're right, though - she does get to be aggressive. I hadn't thought about that. She's certainly not the demure little doily type of historical princess, for which I am totally thankful. I'm going to watch the movie tomorrow and now with less trepidation after reading that most people like the movie. Ofcourse, I'll see anything Hrithik's in though :) I thought I was the only one who though Sonu looked like a young Amitabh! 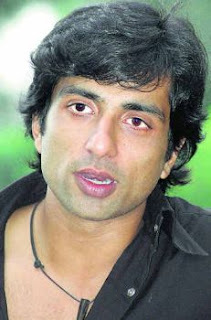 I am completely fascinated by Sonu Sood now. I thought he was really good in this movie and want to see more. Beth - yes, wasn't it just a glorious spectacle? i loved each and every outfit and piece of jewellery...and the elephant taming sequence was hot...did you know Hrithik did that himself, with no stunt double? Beth wrote, "I have one little criticism: I got annoyed by a jarring musical theme that popped up whenever Hrithik was about to do something dramatic. To get technical, it was a major seventh (hear one here), played on a battle horn-sounding brass." At one point, I leaned over and told my next door neighbor that I hoped the estate of Leonard Bernstein got royalties from the soundtrack. Your _Saawariya_ comment was truly inspired, Pri. bird's eye view - you said it! I think I could watch it several more times just for what they're wearing. During the elephant taming scene, I kept getting nervous that he was going to stab the elephant or something (not for real, of course) - I adore elephants. I was impressed with how little he looked next to it, though! Bollywood - it's good to be specific ;) Was it the sword practice scene? Oh, that major seventh! Thanks for giving me something to call it. My musical vocabulary is nonexistent. Also, good call on Sonu looking like a young Amitabh! I didn't even think of that, but your photos are excellent proof. I have to say, though, I disagree with you about "Azeem-O-Shaan Shahenshah" song. I thought it was an awful waste of good music. The choreography was too simple and very sloppy for being as simple as it was. Both Hrithik and Ais are fantastic dancers and they didn't do a lick of dancing in this film. It's a horrible waste in my opinion, and I wonder why the director made that choice. However the scenes between them are very sweet and totally saved the movie. I've seen so many good reviews of this film online, and was myself so excited about it coming out. Thus my profound disappointment when I finally did see it. I guess what I'm trying to say is I just don't get it. The parts that I liked could have been boiled down to about 45 minutes. I saw the film twice because the first time there were no subtitles. Honestly, the subtitles didn't make that much of a difference. The second time I saw the film, I would have gotten up and walked out after their love making scene because of the lack of anything interesting after it. The only thing that kept me there was my friend who was seeing it for the first time. Great observations, Beth, but I have to disagree about the aggression/domesticity attraction bit. I think Akbar was physically attracted to her from the get-go (who can blame him?) and would've continued to be (whether he saw her playing with cute baby rabbits or not - oh, and didn't you think his reaction to the tasty veg food was a bit OTT?) but Jodhaa doesn't respond to him physically (as she mentions on the wedding night) until she sees him all his stripped-down glory. It was just the physical stirrings (lust, if you will) that the semi-naked sword-practice awakened. As for the basic '(s)he's a decent sort of person' thing, I think that came in for her as soon as he granted her special requests (and for him, as soon as she made her requests). Actually I just watched parts of it again(research for something I'm making..) and it took my breath away again. I especially love the part when Jodhaa sings in her shrine, and Akbar leaves the council unexpectedly, entranced by the song, slowly walking over to her, and proceeds to fall in love at first sight with her. She really looked heart-stoppingly beautiful in this movie. I love how Akbar walks away with eyes completely glazed over.. Oh Hrithik.. Not the best actor yet, I grant you, but he can do subtle very, very well, which means there's potential to become better. I'm such a fangirl, it's embarrassing. I think I should stop now. JA is basically a stiff historical with grotesquely bearded machos rattling their bones and fibre-made swords. True to himself, Gowariker made sure there's no elegance and ease in this movie; there had been a bit of humor, but they cut it out (see the two "Mahesh Das" episodes in the deleted scenes), to make it more Gowariker. They camera tried to impress with overdramatic turns and angles, lots of scenery and CGI looked obviously fake. I felt reminded of much more raw movies from the 70ies or 80ies, say Ram Lakhan, just those ones make it all digestable with some self-irony and less sweaty self-importance. Many historicals have been nicer picturized (Devdas, Paheli, Meenaxi) and Aishwarya Rai Bachchan has been much better filmed in Devdas. 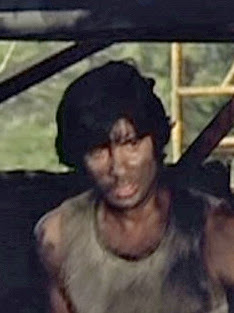 Don't know if you'll see this comment three years later--but Sonu Sood plays a parodic version of Young Amitabh in "Dhoondte Reh Jaaoge," a "Producers"-esque story of the attempt to make a superflop by mashing together "Sholay," "DDLJ," "Lagaan," and something else I can't recall. Neither the superflop nor the framing film is as funny as I wanted them both to be, but clearly others noticed that Sonu Sood is unmistakeably Amitabhy! Oooh! I'd love to see that despite your warning - it really does sound like a brilliant idea.